Today’s travellers' preferences are dominated by mixing the best of traditional and digital experiences. Give them what they expect and make their first, or last, impressions last. First impressions can be crucial to a relationship. 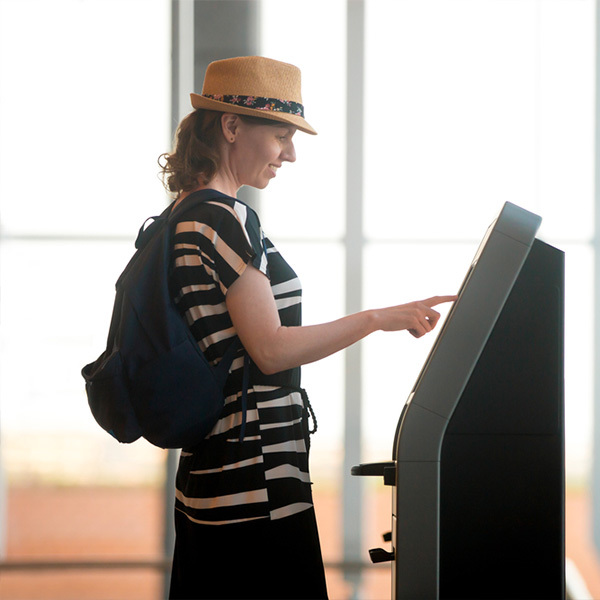 Clock Kiosk, an integral part of Clock PMS Suite, ensures a complete, self-directed, seamless check-in/out experience so you can meet your tech savvy guests on the right foot or leave a lasting impression. To check in, your guests will be prompted to select their preferred language and identify themselves with their Booking confirmation number and the PIN they use for the guest self-service app. It comes with their booking confirmation or with a dedicated automated pre-arrival message. 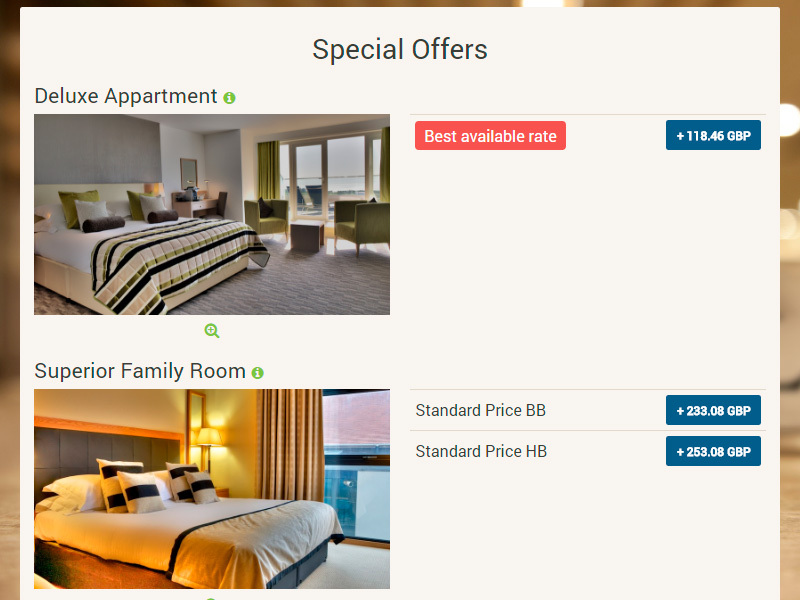 Show personalised offers for room type or package upgrades to your guests. The offers are automatically synchronised with your actual availability and the booking parameters. You can apply custom restrictions or upgrade policies. The selected upgrade rate is applied immediately and updates the charges in the booking folio. Clock Kiosk will let your guests review hotel check-in and stay policies, fill in their personal details in e-registration cards and finger sign on the touchscreen. If registration details have been entered in advance in the self service app, guests will only need to confirm them. 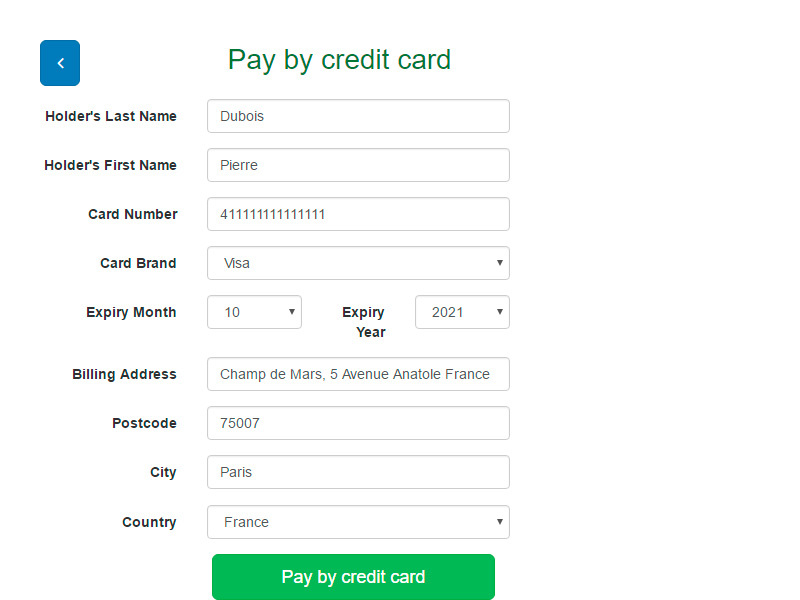 Registration card fields and stay policies are completely customisable to reflect your requirements. Required advance payments at check-in or credit card pre-authorisation* can be handled by the hotel kiosk, too. 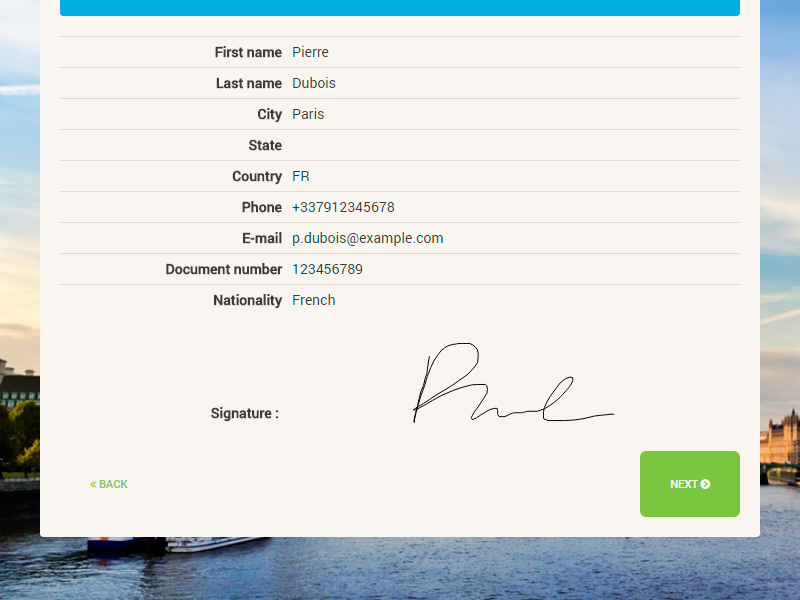 Company guests can fill in their company data and get their invoice emailed to their company. Clock Kiosk integrates with Authorize.net and Adyen for payment processing. 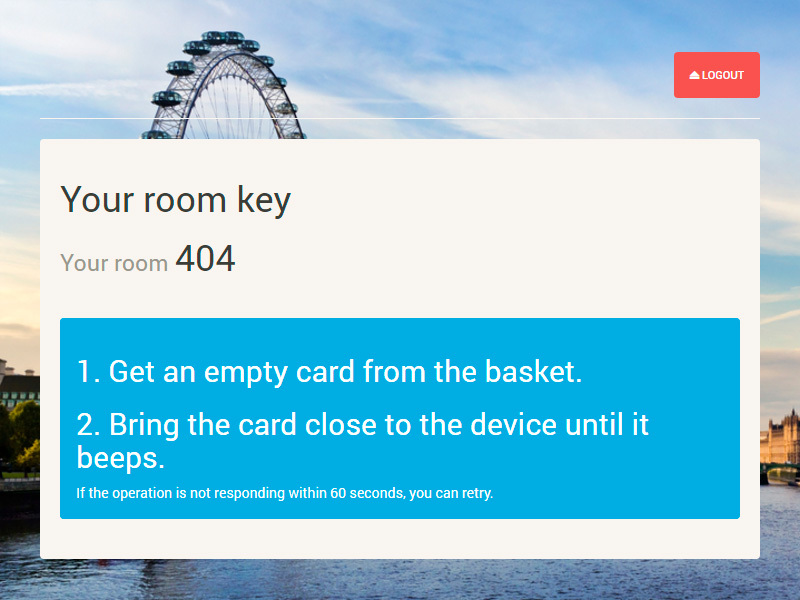 Once the check-in procedures have been performed, Clock Kiosk will prompt guests to encode their doorlock keycards. They simply need to pick a card from the card holder box and hold it close to the encoder which will beep and blink to indicate successful encoding. Guests can opt in for an early check-in* - convenient for them, lucrative for you. 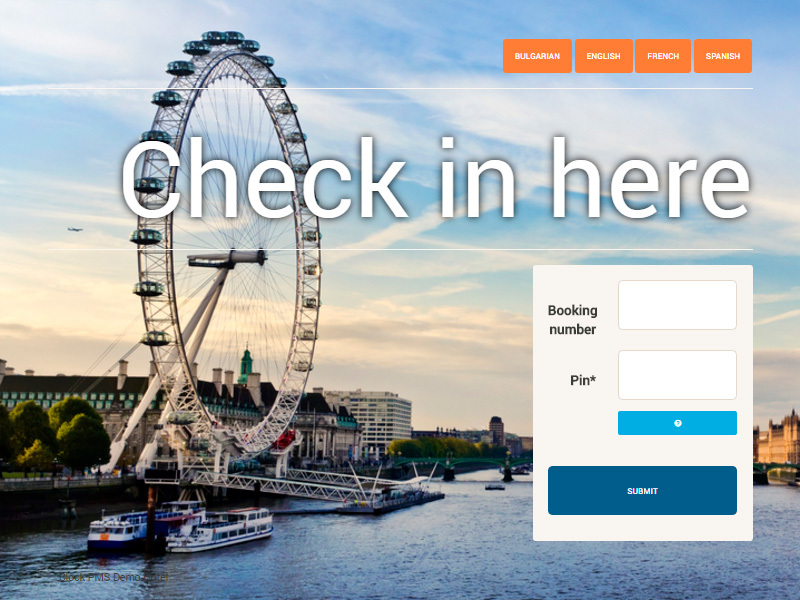 If selected, the early check-in fee is charged instantly to the booking folio. The early check-in is scheduled for release with one of the next system updates. You can choose whether to set up the hotel kiosk to assign the first available room automatically or to let guests browse a gallery of images and descriptions of the rooms available for the period of their stay and select one themselves, like in the guest self-service app. Use the check-in/out kiosk with the reception desk. For full service properties, Clock Kiosk can let hotels automate the check-in formalities so that staff has more time for real human communication with guests. It can also give guests a way to skip the reception altogether. For self-service properties, Clock Kiosk will enable a practically humanless reception. It will guide guests through a secure, yet fast check-in - from collecting the required advance payment through filling in the registration cards and issuing room keys. Clock Kiosk is beautifully designed to be a turnkey solution that helps you provide a modern extension or an alternative to the traditional front desk service. Just fix it to the lobby floor and switch it on. Meet our Clock Kiosk Mini. Compact but as sleek and full-featured as its bigger counterpart. 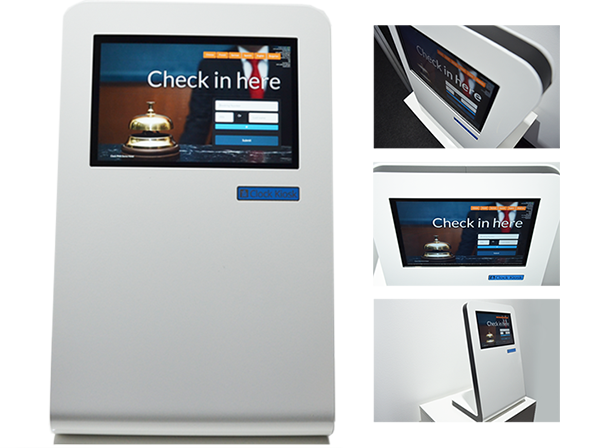 It is a specially designed desktop version of our kiosk allowing you even greater flexibility and freedom when it come to hotel premises to position it. Clock PMS Mini's versatile hardware platform gives guests the same excellent access to the great variety of functionalities of Clock PMS Suite. Clock Kiosk is a part of the entire guest engagement ecosystem in Clock PMS Suite that also includes the automated guest mailer, the hotel self-service app, and the hotel PMS itself. They are all gateways which help you establish multiple touch points throughout your guests' journey - long before their arrival or after their stay. As they are literally one and the same system, they share the same data and all contribute to a really seamless, uniform, personalised guest servicing. With its beautiful design, Clock Kiosk is a turnkey solution redefining guest experience being an innovative and exciting alternative to the traditional front desk service. Securely handling payments at the guest check-out and so much, much more..